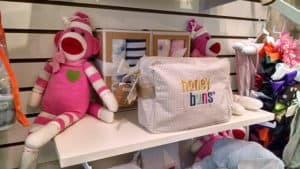 Right at the entrance to High Meadows Country Club you’ll find DB Designs, a boutique to rival any store in Charleston or Atlanta. It’s part of the charm of Roaring Gap, offering the best of both worlds — members and residents of High Meadows Country Club can experience the quiet solitude of a mountain retreat, while still satisfying their shopping desires, or even just having a convenient place to pick up a hostess gift or a new blouse to wear to dinner. Once word got out in the community, Debbi and Barbara started getting orders from friends for their jewelry. That’s when it grew from a hobby into a business, and they started attending home shows and other art shows. 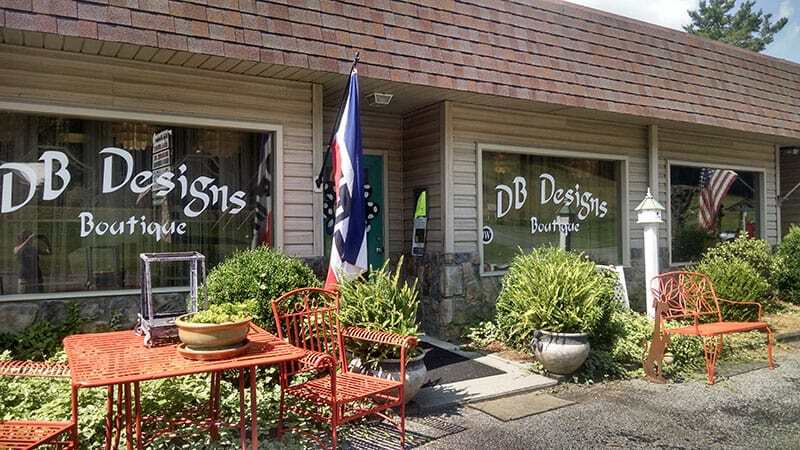 When the business space opened up in Roaring Gap, it was a perfect opportunity to both settle down and expand DB Designs. While the business might have started out with jewelry, you’ll find much more at today’s DB Designs. And you don’t even have to walk inside to find treasures! Garden décor displayed outside cheerfully greets each visitor. Inside the main entrance is a beautiful array of clothing, jewelry and other accessories. 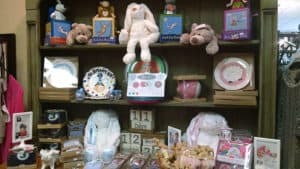 Walk around and you find artistically displayed items in every corner, from baby items perfect for those last minute shower invitations, to candles and high-end kitchen gadgets that are great for a hostess gift or to spruce up your own home. One of the newest ventures of DB Designs is a partnership with a chef in Galax, VA, to provide great food perfect for a night at home with the family or for entertaining. Chicken pies with a delicate crust are one of the top sellers, along with brownies, lemon bars, and pound cakes. Debbi and Barbara not only find pleasure in finding new things to offer their shoppers, from fashionable shoes to tasty treats, they also really enjoy their location. “We love this place for its beautiful scenery, but also our customers are all fabulous,” Debbi said. The store gets traffic from local residents, as well as tourists and visitors to the area. Being in Roaring Gap provides a shopping destination for people right where they live, rather than having to drive up the mountain to Sparta or down to Elkin or Mt. Airy. The store provides convenience as well as a shopping destination. DB Designs is open Tuesday-Saturday, 10:00 a.m.-5:00 p.m. April through November. December the store is open on Saturdays only. 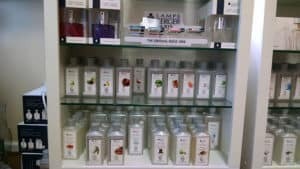 Come visit today to see for yourself the beauty of this little boutique.